I have a busy schedule because my son's schedule is very packed - play dates, activities, classes and excursions we bring him on. 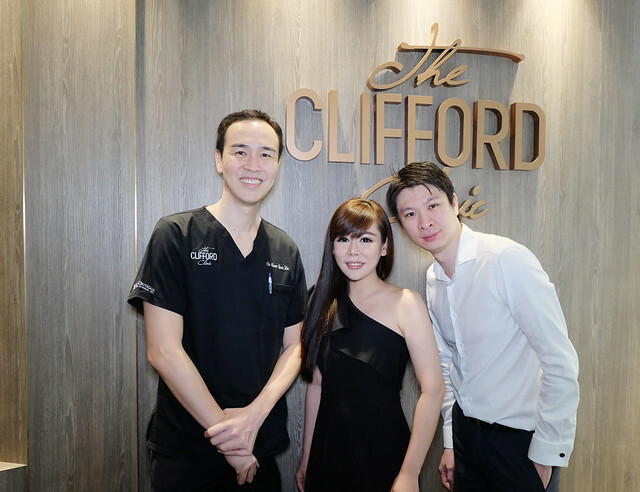 As I barely have time for myself, when the Straits Times requested to cover the story of my surgeries, we arranged for the photo shoot to be done before my treatment at The Clifford Clinic. After the photo shoot with The Straits Times, I underwent the Dermaplaning treatment and had my regular botox and filler refills. Dr Gerard Ee started with Dermaplaning for my entire face. Dermaplaning is a simple and safe procedure for exfoliating the first layer of the skin called the epidermis. Dermaplaning also gets rid of the fine vellus hair on our face which is also known as "peach fuzz". Dermaplaning has been used for many years and is especially popular with the celebrities in the USA. According to the history of beauty queens, Elizabeth Taylor, Marilyn Monroe, and Cleopatra all underwent similar procedures (albeit not at the same level of technology!). Dermaplaning is the first choice treatment for people who have excess vellus hair on the skins. Vellus hair often cause a build-up of oil and dirt in the follicles. Removal of these substances via Dermaplaning gives the patient's skin a healthier looking skin. Despite popular belief, the vellus hair does not grow back thicker after removal. the Skinceuticals Gel Peel is applied over the entire face. The Skinceuticals Gel Peel is left on for 10 minutes and then cleaned off. held to my face before the Dermaplaning procedure. I was astonished that there was no pain at all, and it felt like a light scraping of the skin. Take a look at the layer of Epidermis that was removed in just one session. These are all dead skin cells which cannot be removed with just a facial scrub! The dead skin cells fresh from my face!!!!! 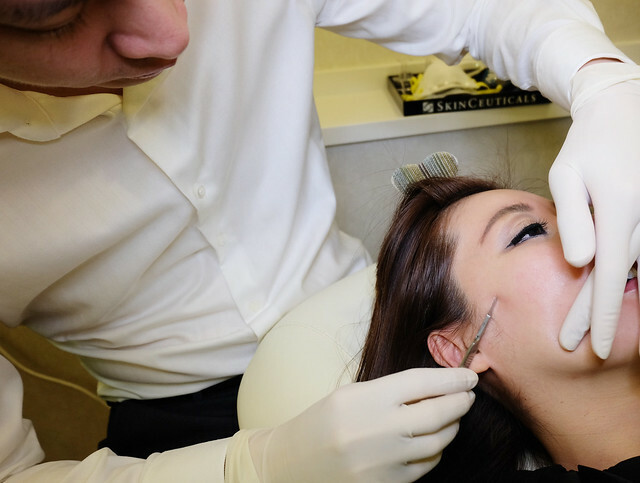 What exactly is Dermaplaning and what can it do for your skin? Dermaplaning is a simple and safe procedure for exfoliating the first layer of the skin. It removes the epidermis and removes the fine vellus hair (peach fuzz). Dermabrasion and dermaplaning help to "refinish" the skin's top layers through a method of controlled surgical scraping. The treatments soften the sharp edges of surface irregularities, giving the skin a smoother appearance. 2) Who is suitable for Dermaplaning? What about pregnant or nursing mothers? Dermaplaning is suitable for anyone who is keen to have more radiant skin. 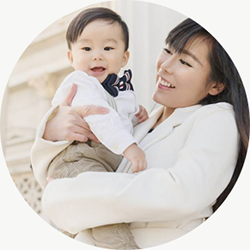 It is suitable for pregnant and even mothers who are breast feeding. 3) What is the downtime? 4) Is there a possibility of complica­tions? When done a full trained therapist, there should not be any side effects. There may be some skin sensitivity over the following day, but generally the skin will feel the smoothest it has ever been. 5) Are there any other side effects? 6) What results do we expect to see after Dermaplaning? You expect a more radiant skin. 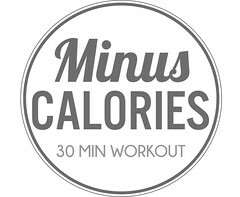 You will also notice less commedones and a brighter and fairer looking complexion. 7) When can I apply make up after Dermaplaning? You can apply make-up immediately after Dermaplaning. 8) How many treatments do I need and what is the interval apart? Dermaplaning is best done between 4-6 weeks apart. You can do dermaplaning reguarly. 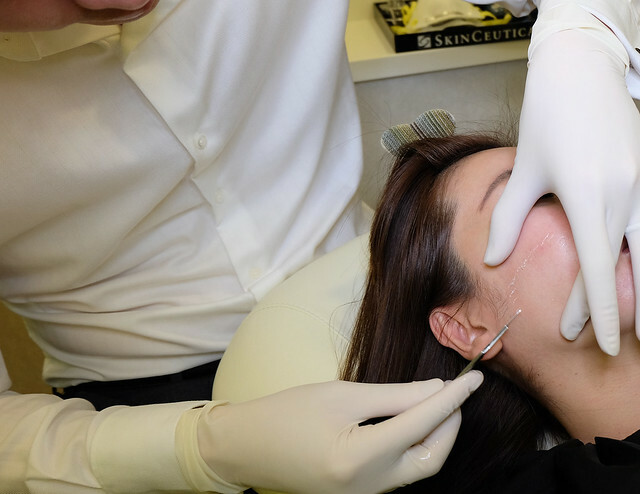 It is very common in the US for this to replace even traditional extractions, preventing the onset of congested oil glands and pores. 9) I have a low pain threshold, am I suitable for Dermaplaning? Please book a consultation with Dr Gerard Ee so that he can review your skin condition before proceeding with the Dermaplaning procedure. We can apply some numbing cream to make the procedure absolutely painless. 10) What is the price of the Dermaplaning session? The price of dermaplaning is $300 per session. The Clifford Clinic combines the dermaplaning procedure with SkinCeuticals Gel Peel, to give your skin a dewy radiant feel and look. 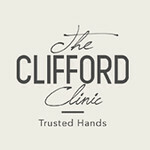 The Dermaplaning procedure is entirely done by the therapist in The Clifford Clinic. and it felt smoother to touch. There was absolutely no pain at all. I did not apply any numbing cream prior to the Dermaplaning procedure. Dr Ee also refilled my lip fillers at this same consultation. my THERMAGE in another post. At the same consultation, I also did my botox refills. I have my botox refills once a year. I usually have botox done at the frown lines between my eyebrows, and at my eye area. I LOVE how my skin feels after Dermaplaning. My skin was a little sensitive on the second day but by the third day, it had a glow to it. Dermaplaning was totally painless for me, and I did not apply any numbing cream at all. 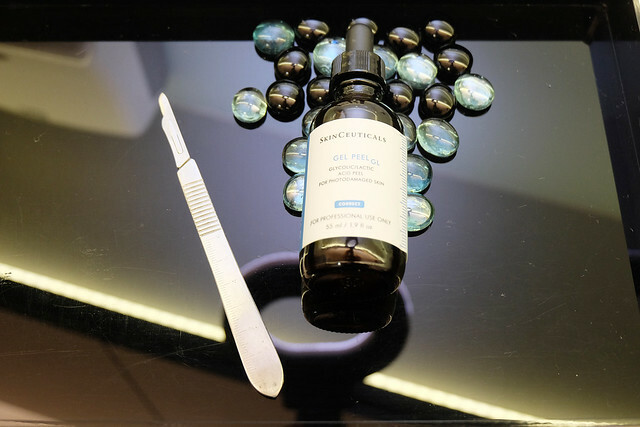 The Skinceuticals gel peel helped to further enhance the Dermaplaning results and this resulted in a glowing and brighter skin. Call 6532 2400 and book your appointment with Dr Gerard Ee! In addition, if you have acne scar and pigmentation problems, Dr Ee is also able to get of them to help you achieve a more radiant and luminous skin!